Kings head coach Eric Stockhausen says because of the schedule and changes implemented this season, he told the team they likely would lose games early in the season but end up victorious in the end. Stockhausen says because they had fewer taller players this year, and some players were coming off injuries, he changed strategy this season to fit the players’ strengths. He says there were no seniors on the team last year, this year there were eight. Stockhausen says team members grew up together, playing in Ketchikan Dribbler’s League before joining school sports. He says they also are close friends off the court. The Kings were the eighth-seeded team in the eight team tournament. Stockhausen says that ranking was based on games played in January, which they did not win. In February and March, the team was scoring wins. He says being ranked eighth gave them motivation. Stockhausen says the coaches used two words to tell the team what they needed to do – poise and intensity. In the first round, the Kings played top-seeded East Anchorage High School. Ketchikan fell behind in the first quarter but rallied back to win 60-58. The Kings played Soldotna High School in the semi-finals, again coming from behind to win 53-48. Saturday’s championship game with Dimond went into overtime, and as the clock ticked down, Stockhausen told the team to just have fun. 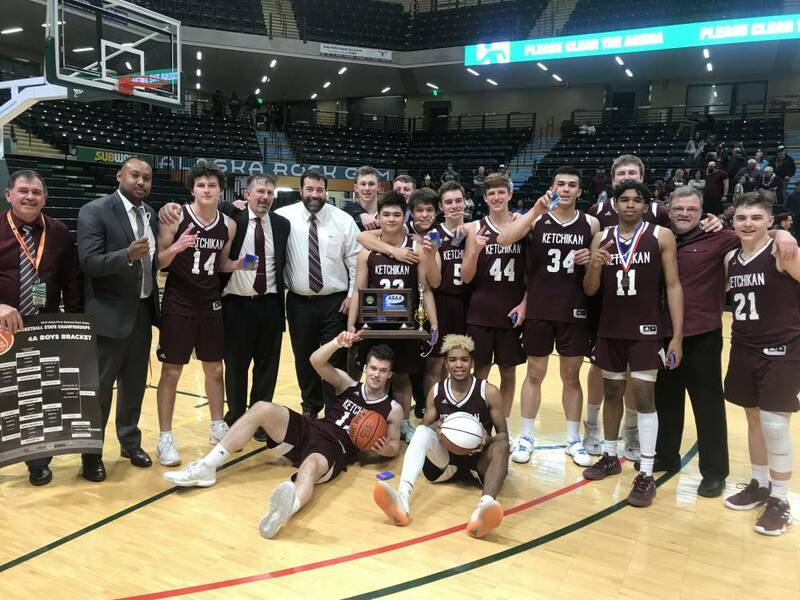 The Ketchikan Kings basketball team last held the state title in 1974. This year’s win marks the Kings ninth state title. Maria Dudzak is a reporter at KRBD in Ketchikan.